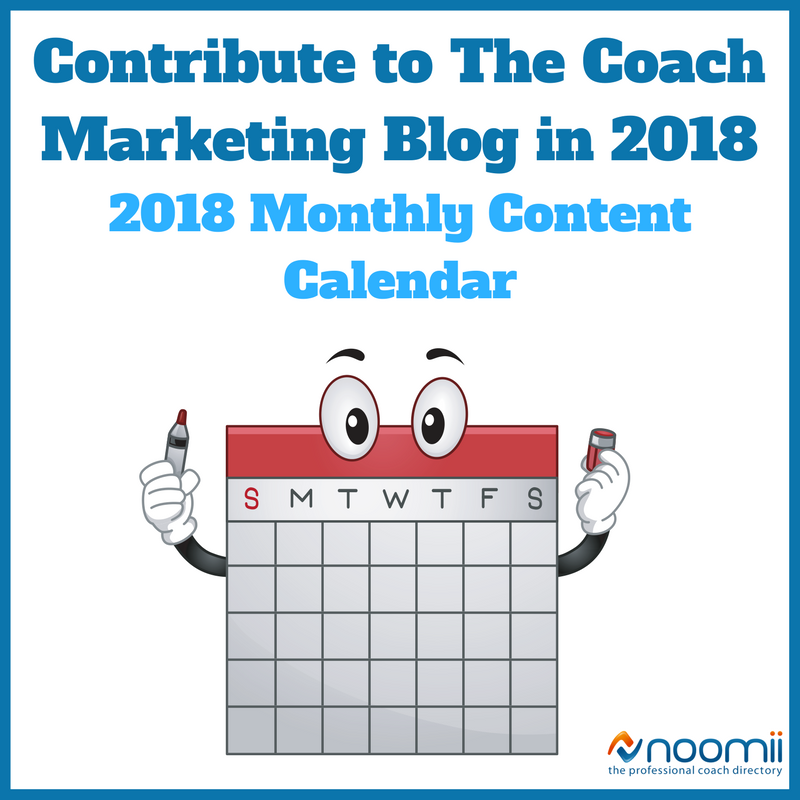 Are you interested in contributing to the Noomii Coach Marketing blog? Here’s your chance to share your knowledge with coaches who are ambitiously building their businesses. Here are the monthly themes that we will be writing about in 2018. In exchange for your contribution to the community, we will publish your name, your brief bio, a link to your personal or professional website, and one additional link to one of your social media profiles.